We are located In the heart of Budapest, next to the famous Vaci street. We are one of the biggest hostlels of Budapest, expect to meet a lot of people here. 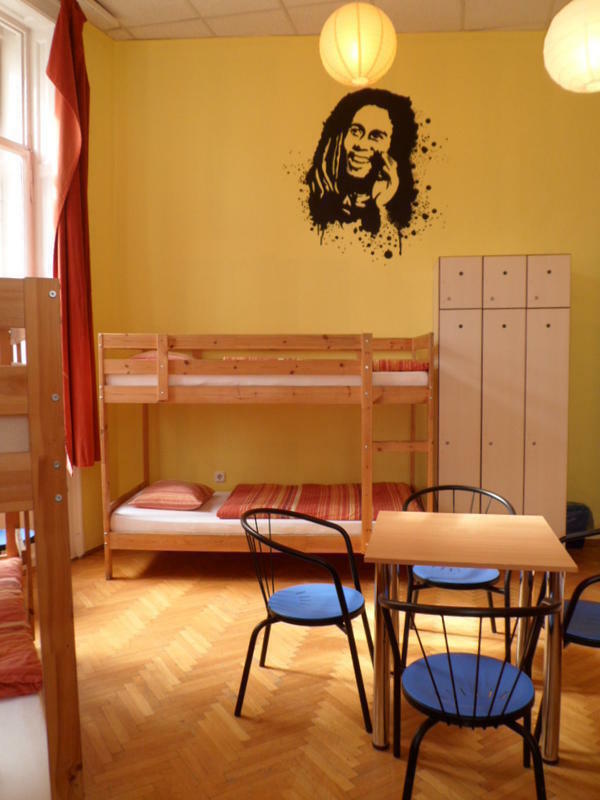 Our hostel is a perfect choice for everybodie who likes to visit the best pubs and clubs of Budapest, and also for who like to take trips, and do some sightseeing in this beautiful city. We have beds alltogether for 180 Persons. We are waiting our Guests with 24 hour reception, with differenet sized colorful rooms. We are located in the Bcsi street int he fifth district of Budapest. With Public transport you can reach us with the so called Reptr (airport) bus number 200 wich takes you to the Kbnya Kispest Subway station. From there you have to come to the stainon Dek Ferenc Square, from there it is signed wich direction you will find us. From the railway stations you have to come with subway an come to Dek Ferenc Square.